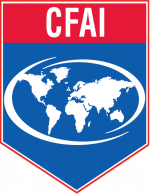 The Commission on Fire Accreditation International (CFAI) has 11 members that represent a cross-section of the fire and emergency service, including fire departments, city and county management, labor, standards development organizations, and the U.S. Department of Defense. CFAI holds public hearings at the CPSE Excellence Conference each spring and at the International Association of Fire Chief’s Fire Rescue International Conference each summer to review agencies applying for accredited status. Learn more about the individuals that graciously volunteer their time to overseeing accreditation. Steve Dongworth is fire chief for the Calgary Fire Department a CFAI accredited agency. He joined the department in 1992 and has held the positions of deputy chief of Community Standards, Recruitment and Training; Operations; Community Services; Administration; and Emergency Management. Chief Dongworth has completed a number of university-level management certificate programs in health and safety; general management and strategic management and has received a Masters Certificate in Municipal Learning. Steve Dirksen is fire chief of the Fargo, North Dakota, Fire Department, a CFAI accredited agency. 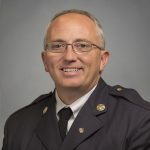 He began his fire service career in 1989 with the Rock Valley, Iowa, Fire Department and then joined the Sioux Falls, South Dakota, Fire Department where he moved up through the ranks to Battalion Chief until he was appointed fire chief in Fargo in 2011. Chief Dirksen holds a bachelor’s degree in Management and a master’s degree in Business Administration from the University of Sioux Falls and is a graduate of the National Fire Academy’s Executive Fire Officer program. Chief Dirksen earned his designation as Chief Fire Officer in 2014. 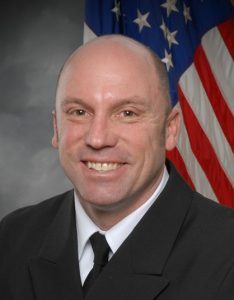 Jim Brinkley is the director of the International Association of Fire Fighters Department of Occupational Health and Safety. Prior to coming to IAFF, he served for more than 21 years with the Prince George’s County Fire/EMS Department. 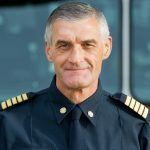 Otto Drozd is the fire chief of the Orange County Fire Rescue Department in Florida, a CFAI accredited agency. He began his fire service career in 1986 with the Hialeah, Florida, Fire Department where he moved through the ranks to fire chief in 2001. 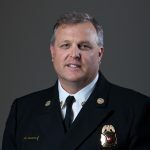 In 2001, Chief Drozd became fire chief of the El Paso Fire Department, leading it to become a CFAI accredited agency as well as obtaining an ISO Class One rating. 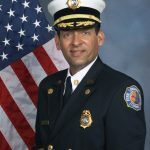 Chief Drozd holds a bachelor’s degree from Florida Atlantic University and a master’s degree from St. Thomas University and is a graduate of the NFA Executive Fire Officer program. Chief Drozd earned his Chief Fire Officer designation in 2008. Gary Fredericksen is fire chief of the Yocha Dehe, California, Fire Department, a CFAI accredited agency, a position he has held since 2012. Prior to that he was a division chief with the West Sacramento Fire Department. Chief Fredericksen earned his designation as a Chief Fire Officer in 2016. 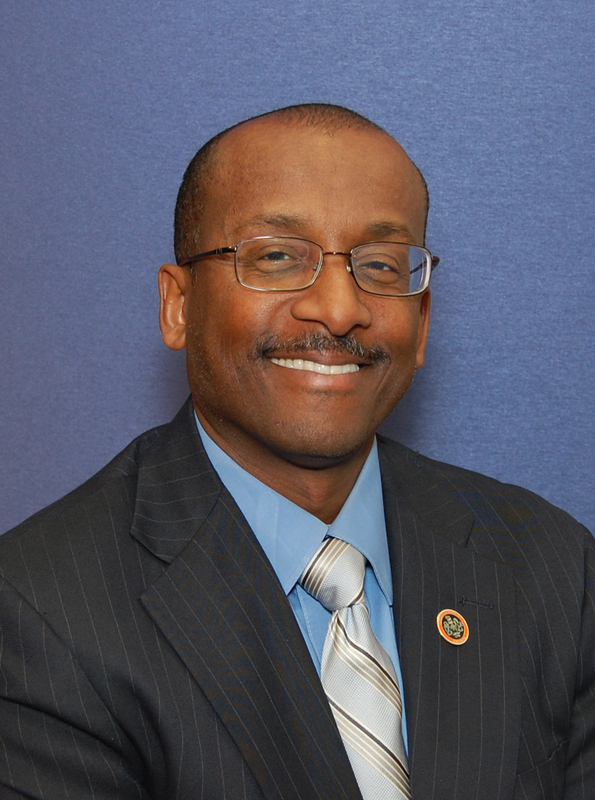 Bryan Hill is the county executive for Fairfax, Virginia. 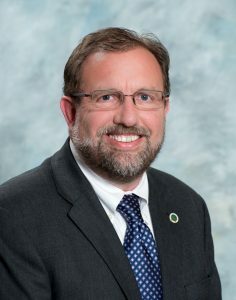 Prior to this he was the Chief Administrative Officer and Clerk to the Board for James City County and spent seven years as the Deputy County Administrator for Beaufort County, South Carolina. Mr. Hill holds a master’s degree in public administration from the University of Southern California and a bachelor’s degree in public administration from Alfred University. 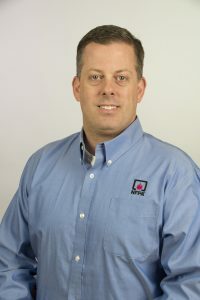 Ken Holland is a senior emergency service specialist with the National Fire Protection Association. He has 23 years in EMS, of which 19 years he has devoted his time to being a paramedic. Before the NFPA, Mr. Holland was a member of the Bridgewater, Massachusetts Fire Department for 5 years as a fire fighter/paramedic and the ALS coordinator for the department. Mr. Holland has a bachelor’s degree in Political Science and master’s degree in Public Administration. 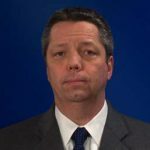 Kevin Kuntz is a vice president and chief engineer with ISO leading the Risk Engineering, Engineering & Safety, and Technical Training groups. He serves as the lead technical resource and director of national policy on a variety of technical subjects. Prior to joining ISO, Mr. Kuntz spent seven years with Industrial Risk Insurers as a risk control engineer and over 20 years with Marsh in various leadership positions related to risk control including national practice leader for the oil and chemical consulting practice. He has over 43 years of volunteer fire service experience and served as fire chief for the North Brunswick (NJ) Fire Department. He presently serves as an active firefighter with the Gettysburg (PA) fire department. Mr. Kuntz received a bachelor’s degree in Civil Engineering from Tulane University. Jake Rhoades is the fire chief for the Kingman, Arizona, Fire Department, a CFAI accredited agency. Chief Rhoades holds a master’s degree in Executive Fire Service Leadership and is pursuing a doctorate in Business Management. Chief Rhoades received his designation as Chief Fire Officer in 2010, Chief EMS Officer in 2012 and Chief Training Officer in 2012. Steve Riley is the town manager for Hilton Head, South Carolina, a position he has held since 1994. Prior to this he held positions as planning director for Beaufort, South Carolina and a planner for Beaufort County. Mr. Riley holds the designation of a credentialed City Manager by WHO. Mr. Riley has a bachelor’s degree from the University of Nebraska-Lincoln and a master’s degree in Urban and Regional Planning from the University of Iowa. 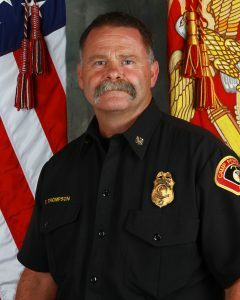 Thomas Thompson is the fire chief of United States Marine Corps Camp Pendleton Fire & Emergency Services, a CFAI accredited agency. Prior to this, he was the fire chief for USMC Barstow and led that agency to accreditation status, the first USMC fire department to achieve accreditation. He is the first fire chief to lead two organizations to accreditation. Previously, he was the assistant fire chief at McChord Air Force Base and has served as a military and civilian fire fighter since 1982. Chief Thompson earned his Chief Fire Officer designation in 2015.